It's almost Memorial Day, which means summer is about to get into full swing. Every summer I like to try my hand at making a few different sorbets and ice creams through the months. Some turn out amazing, like the peach ice cream I made last year, some turn out disgusting, like the cherry coconut milk ice cream I failed at making (blech!). I'm a huge fan of sorbets made from tart fruit such as lemons, grapes, and plums. So of course rhubarb would be a natural extension of that list. Rhubarb is like a funny, sour, red version of celery and it's actually a vegetable but most people use it as they would fruit. It was never really something that was on my radar until I had this amazing rhubarb crumble from Battersby, a cozy restaurant in my hood in Brooklyn. Since then, I've been on the lookout for good ways to use rhubarb. I made a sorbet this time around, but rest assured, a crumble will soon follow. If you're like me and you try to reduce the amount of sugar in recipes whenever you can because you don't like things overly sweet, be careful when making sorbets. If you don't add enough sugar, the sorbet will end up freezing solid in the freezer (as I've learned the hard way). If you follow this recipe to a tee, it won't happen, but if you're trying to reduce the amount of sugar, this blog post can help you figure out the minimum amount you'll need. Inverted sugars such as corn syrup also help sorbets from getting too icy. Finally you can add a tablespoon or two of vodka or gin as well since alcohol doesn't freeze. Yields about 1 & 1/2 quarts. 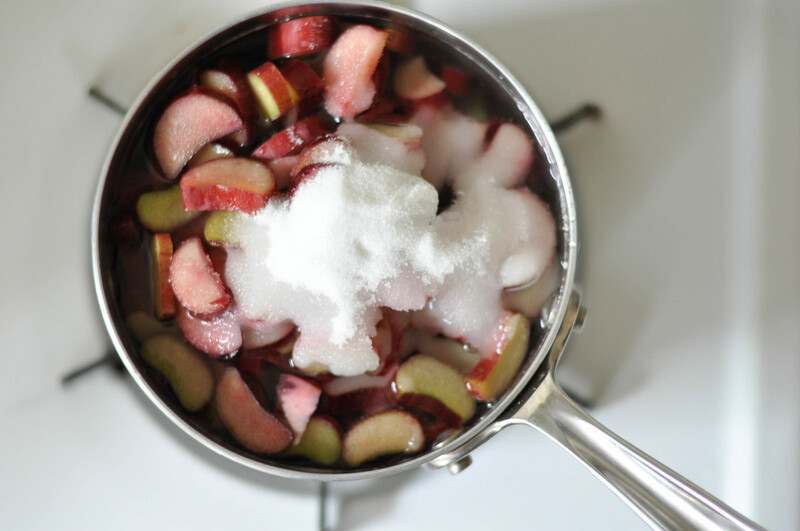 Bring rhubarb, water, sugar and salt to a boil in a saucepan. 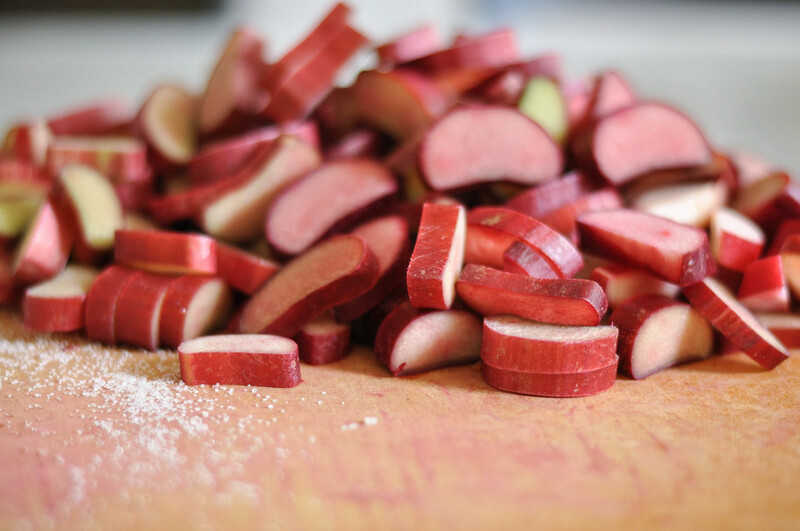 Turn down the heat and simmer for 4-5 minutes until rhubarb is tender and has lost all structure. Let cool for 5 minutes and puree with an immersion blender (or in a regular blender). 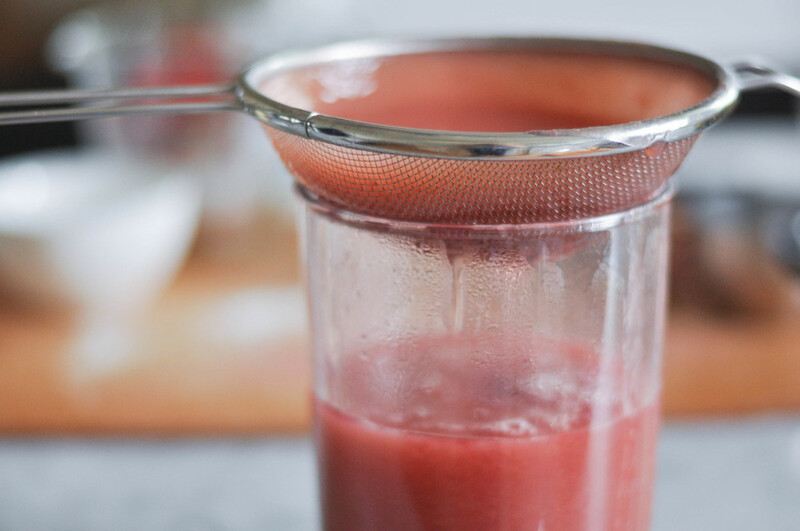 Strain through a fine mesh sieve and mix in corn syrup. Cool at room temperature, then place in a sealed container in the fridge for a few hours until chilled. Transfer to an ice cream maker and churn according to manufacturer instructions. 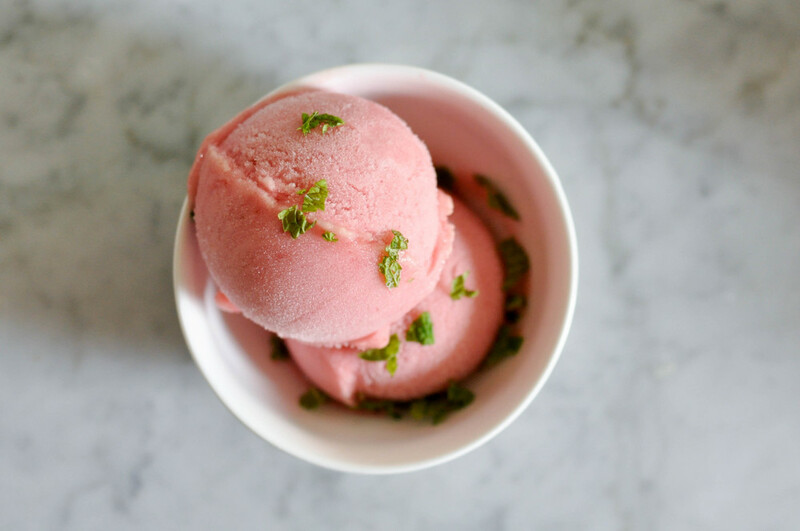 When sorbet is scoopable, transfer to a container and place in freezer to firm up a bit. I recommend serving it with some cake, or topping it with mint or basil.